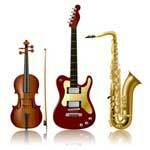 DO YOU KNOW a STUDENT or SCHOOL MUSIC PROGRAM in need? Please contact us. We will be happy to review your suggestion and help if we can. Click to e-mail us with your suggestions. DONATIONS ARE ACCEPTED and APPRECIATED. Please come enjoy our shows. They are always a wonderful time and support a great cause. Thanks for supporting live music and music education!